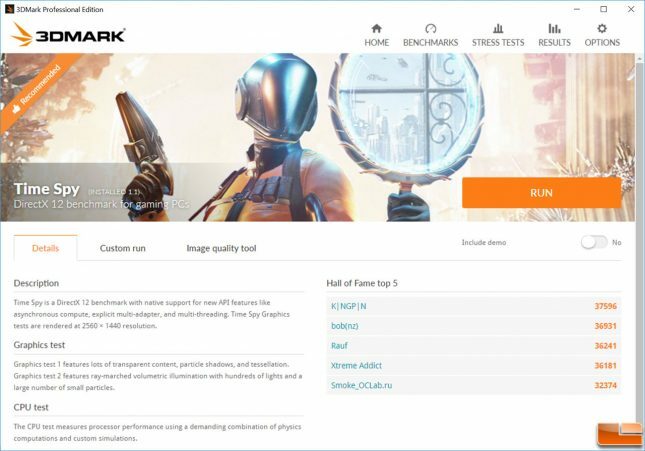 3DMark Time Spy just recently came out and it is the latest and greatest DirectX 12 benchmark test for gaming PCs running Windows 10. 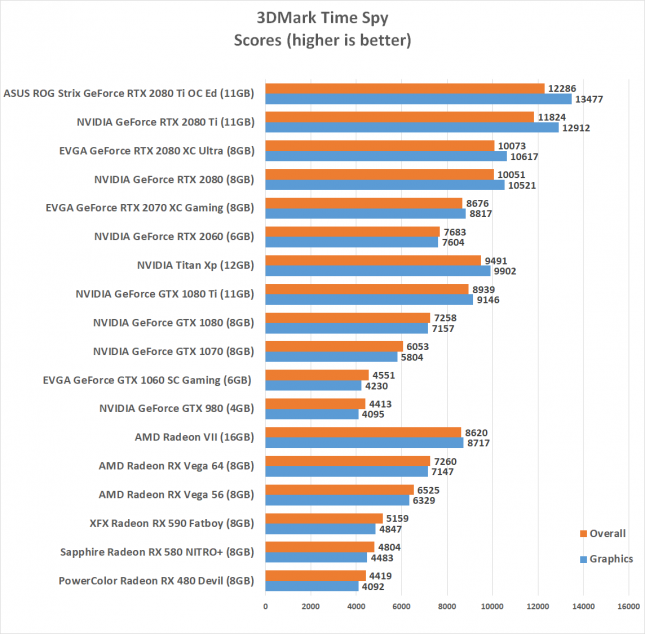 This DirectX 12 Feature Level 11_0 benchmark utilizes a pure DirectX 12 game engine that supports features like asynchronous compute, explicit multi-adapter, and multi-threading! The developers opted to use DirectX 12 Feature Level 11_0 to ensuring wide compatibility with DirectX 11 hardware through DirectX 12 drivers. With DirectX 12 on Windows 10, game developers can significantly improve the multi-thread scaling and hardware utilization of their titles to draw more objects, textures and effects for your viewing enjoyment. 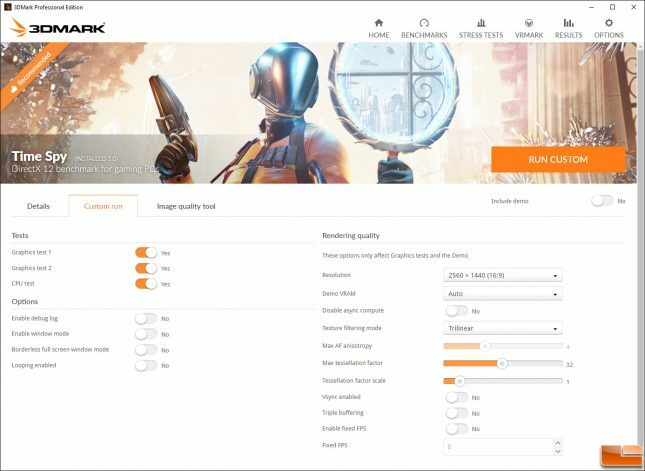 3DMark Fire Strike is a great high-end DirectX 11 benchmark test, but doesn’t really show off what new graphics cards can do on a DirectX 12 game title that will have much more going on while you are playing. This popular DX12 gaming benchmark showed that the Radeon VII 16GB graphics card scored 8,620 points, which is 18.7% faster than the Radeon RX Vega 64. 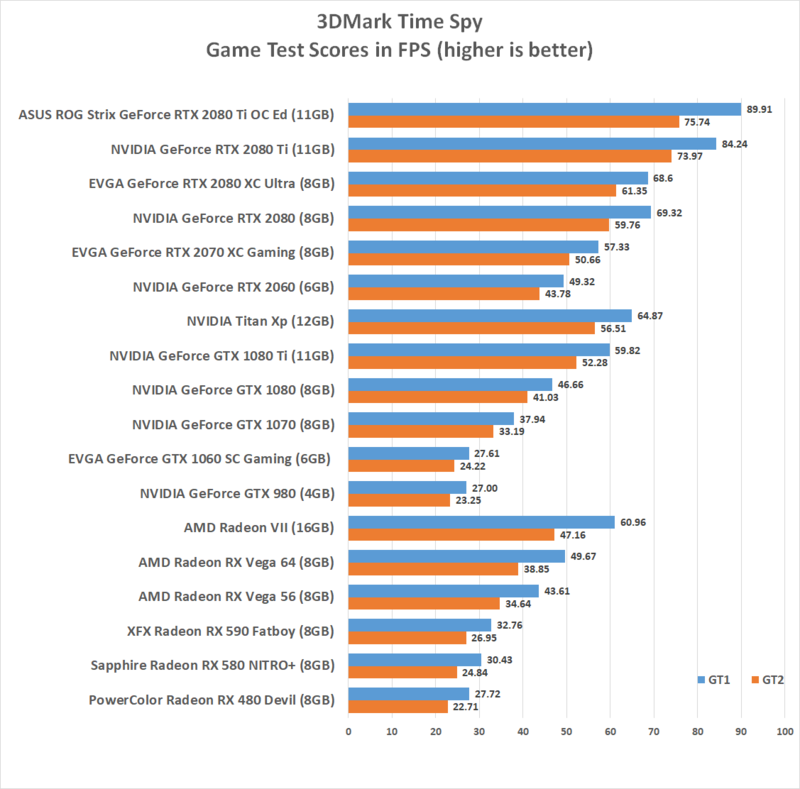 Here are the FPS results from Game Test 1 (GT1) and Game Test 2 (GT2) for those that like to look at frame rates versus just an overall score.